Use of demand draft (DD) is one of the most common banking transactions carried out these days. Demand draft is issued in two modes, either offline and online. The second option has become a preferable one these days because it can be done in minutes and from anywhere. Moreover, the chances of errors are minimal in case of issue of demand draft online. Several public sector banks, including SBI gives the facility of online issue of demand draft. 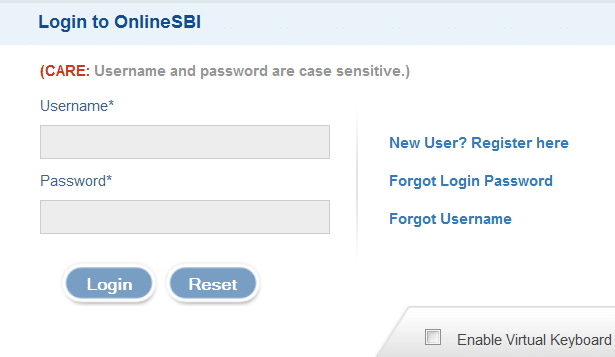 Login to your Online SBI account. The next step involves clicking on the "Payments/Transfer" tab. After this, click on the option of "Issue Demand Draft" (highlighted in above image). 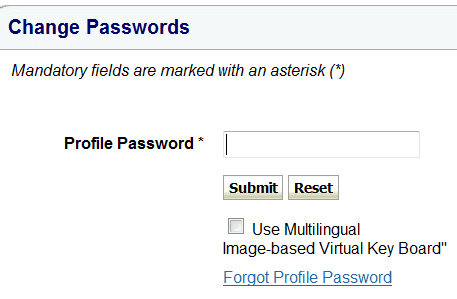 To proceed further, you will have to enter your Profile Password. All the details regarding the DD have now to be filled by the account holder, with the condition that the account has enough money to complete the transaction. Enter the account number, amount of DD, the person in whose name the DD is to be issued ( University, college or Institutions name) , purpose of DD, branch code where the DD is payable and the service branch of the particular city/state. In the end, the delivery mode of the DD has to be selected. In case of "Collect in Person" option, the DD has to be taken from the bank branch while the "Courier" option enables you to receive it by courier for a charge of Rs 51. Lastly, click the submit button. A commission will be charged for the issuing of DD. The user has to verify the details and confirm the transaction. A high security password would be sent to your registered mobile number. You have to enter the same and click Confirm. A transaction reference number would be made available to the user, along with the details of the DD. In case he has chosen the "Collection in Person" option, the user can print counterfoil, take it to the bank and collect the DD after showing the same. Getting a demand draft issued online from SBI is as simple as this. You have to visit your home branch for cancelling the demand draft. how to make corporate bank DD ? Is it possible generate DD from online and print by myself?. Not possible to collect by person or courier. If you introduce a method to issue online DD, it will be really useful. 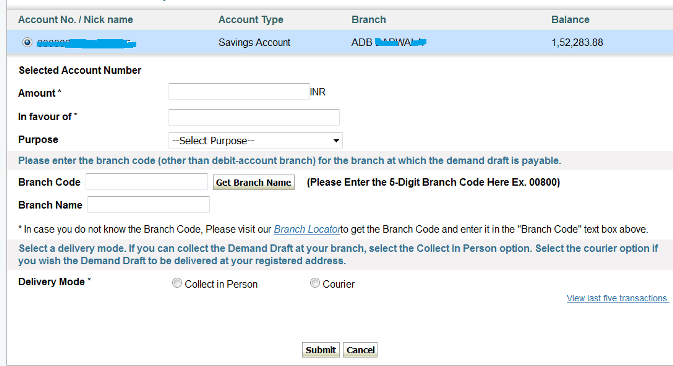 What is time limit to get made demand draft through online banking mode? Please help I can do payment through net banking as you mentioned, is there possible to get DD from non home branch it means I have home branch in Bangalore shall I get DD from Chennai branch ...????? not possible. But you can make demand draft by visiting nearby branch. I don't found the the option to make demand draft in net banking. Please help.